"Evolution since the Origin: What Darwin Didn’t Know"
Before our presentation, have a chance to meet fellow alumni while feasting on catered appetizers and drinking libations, while looking out on a gorgeous Biscayne Bay view from the seventh floor of the Sunset Harbour south building, on the western shore of Miami Beach, which alumna Stacy Kilroy has been nice enough to arrange for us. Professor Berry is one of the most popular and acclaimed speakers in the Harvard Speaker program, known for his brilliance, wit and personality. He will address in a light-hearted multi-media presentation recent developments in genetics, including epigenetic discoveries, which are changing our views of the world, especially the old “nature v. nurture” debate. Since 1859, when Charles Darwin published On the Origin of Species, huge advances have occurred in the scope of our biological knowledge. Darwin could not even have dreamed of the kind of high tech analysis of genomes that today is routine in academic biology labs. Has his thinking, then, been eclipsed by modern biology? The answer, rather remarkably, is No. Modern discoveries - 150 years of biological progress since 1859 -- have reinforced and refined his ideas without seriously undermining them. This lecture will review some of the ways in which Darwin's theories have become richer and more complete as biology has progressed, and will conclude that the remarkable robustness of Darwin's theories stems in part from his laudably cautious and careful approach to science. Your pre-payment must be received no later than Thursday, February 27. Enter your desired number of tickets and click on “Recalculate Cart”. Then submit and follow the prompts to complete your registration. Important note: you will need to sign in to the website before you can complete your transaction. Visit http://hcmiami.clubs.harvard.edu/faq.html for more information. 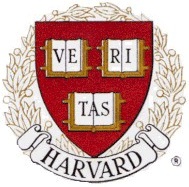 our Club Administrators at (305) 819-8383 or admin@harvardmiami.org. It is extremely important that you email admin@harvardmiami.org or call (305) 819-8383 to RSVP. Next, please mail your payment to Harvard Club of Miami, c/o Event Processing, 6104 Riverview Parkway, Braselton, GA 30517.